Gaming Course Introduction: There are various types of games to play either inside or outside in which provide recreation to all human beings. Various types of games are to be played by our children in and out. Among them, we include various types of video games. There are various types of video games in which they provide recreation for any kind of people. In addition, various gaming apps are introduced in which we can easily download, install and play. Before introducing a game app, there is a lot of effort in designing a game and for designing a game there are various gaming courses introduced in and around India. So let’s view some of the Gaming Courses. 1 What are Gaming Courses? Here we provided Types of Gaming Courses in India after 10th or 12th. These courses create a source for designing games using various designing tools using technology. It takes a lot of effort to design a game attractively using various technological & graphic tools like 3D Animations, Web Designing courses etc. It also takes a lot of time to introduce the games into the market. For making or designing a game, there are various Courses introduced in various institutes. Let’s look for the different. Though there is various diploma Gaming Courses, it is necessary to complete 12th for pursuing a diploma in Gaming and is helpful to complete those courses very efficiently and effectively. So look for Gaming Courses after 12th. There are various Gaming Courses to pursue after 12th. 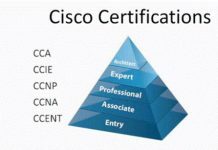 Some of the Courses are listed below along with their duration. Now let’s look for eligibility requirements of the Gaming Course. The basic eligibility requirement for Diploma and Graduation under Gaming Course is 10 + 2 whereas, for P.G. 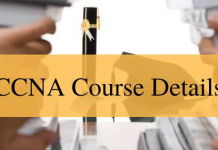 Diploma courses, the eligibility is 10 +2 with English. The fee structure for Gaming Courses in under-graduation courses is Rs.1, 00, 000/- per year and for post-graduate diploma courses, the fee might range between Rs.1, 25, 000/- to Rs.1,30, 000/- per year. 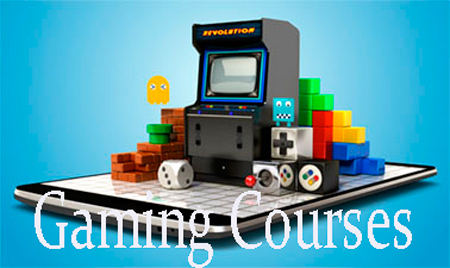 Let’s look out for Gaming Courses in various places in India. There are various Gaming Courses in Hyderabad. Some of the Game Designing Courses in Hyderabad are B. Tech. in Game Development & Computer Science, Certificate in Game Art & Design, Diploma in Game Technologies, Bachelors of Multimedia with specialization in Gaming etc. in various institutes like ICAT Design & Media, Backstage Pass Institute in Gaming Technology, Creative Mentors Animation & Gaming College etc. 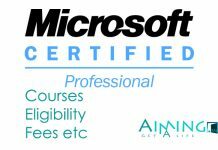 Diploma in Games Art Professional, Diploma in Game Designing, Professional Diploma in Game Art, BCA in Game Software Development etc. are various Gaming Courses in Bengaluru. There are various institutes in Bengaluru which offer these Gaming Courses like Asian Institute of Gaming & Animation, IIFA Multimedia, I Pixie Design College, and Arena Animation Academy etc. The Gaming Courses in Chennai include Certificate in Game Art & Design, B.A. (Hons.) in Game Art & Design, B.Sc. in Animation & Game Design, DGDI Program In Game Design and Integration etc. under various institutes like Maya Academy of Advanced Cinematics, VELS University, Global Institute of Gaming & Animation, Zee Institute of Creative Art etc. The Gaming Courses in Kerala are 3D Game Development Program, Certificate in Gaming, DGDI Program in Game Design & Integration, Certificate in Game Art & Design etc. under various institutes like Arena Animation Academy, Toonz Academy, Zee Institute of Creative Art etc. Let’s look out for career opportunities under Gaming Courses.